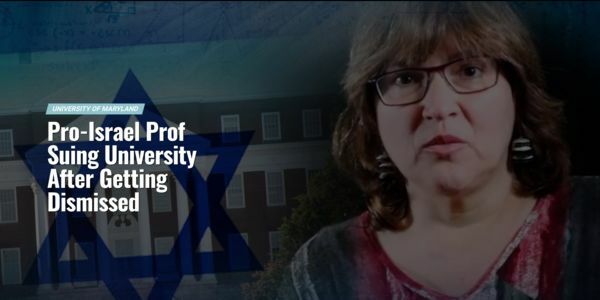 Professor Melissa Landa was dismissed from her teaching position at the University of Maryland (UMD) due to her vocal pro-Israel views and fighting BDS. Detailed information is available at the Supporters of Melissa Landa website. Please sign this petition to the University System of Maryland Board of Regents, UMD President Wallace Loh, and Dean Jennifer Rice. The University of Maryland needs to be held accountable for the injustice it has inflicted. For ten years, Dr. Melissa Landa was an Assistant Clinical Professor in the College of Education. She won awards for her teaching and research and created some of the most popular courses in the College. Students described her as "one of the best professors at this institution," and colleagues praised her as an "honest, fair, and collaborative professional." • Reassigned Melissa from a literacy course she had helped to create and taught for over ten years, preventing her from pursuing a partnership with her Israeli colleagues. • Removed Melissa from the Elementary Education Program, stripping her of her central role in the College of Education. "In the interest of the program, the Hearing Board hopes that a professional path for Dr. Landa can be found that harmonizes her teaching and scholarly interests with the needs of the Department…"
Three days later, Francine Hultgren emailed Melissa in Israel and informed her that her contract was not being renewed. Melissa was the only Clinical Professor to be terminated. We are deeply disturbed by Dr. O'Flahavan's and Dr. Hultgren's discriminatory and retaliatory conduct, and by Dean Jennifer Rice's defense of their actions. They have destroyed Melissa Landa's academic career and disgraced the University of Maryland. 3) Inform UMD know that we are active and growing! Thank you for your commitment to this important struggle. Dr. Landa is receiving support from students, colleagues, and concerned individuals across the US and the world. If you don't remedy this obvious act of bias and rehire Dr. Landa, UMD's reputation will suffer. We will not be silent. Your Grievance Board recommended that Dr. Landa be reinstated. Three days later, Dr. Hultgren fired her. This is blatant discrimination. Where is your accountability, UMD? Last night, the petition was signed by people in INDIA, IRAQ, and ISRAEL. My sincere thanks for signing this petition. By sending a strong message to the University of Maryland to inform them that we will not accept discrimination, retaliation, and the suppression of free speech; we can help to protect other academics who support Israel from mistreatment and wrongful termination. Thus far, people from 11 countries and 30 states in the U.S. have signed! Here's to continuing to spread the word and to fighting the good fight!